MOSCOW – Trent “Buck” Cowan was one of the most productive tight ends in the FBS last year. Not far behind him was his teammate, Deon Watson. 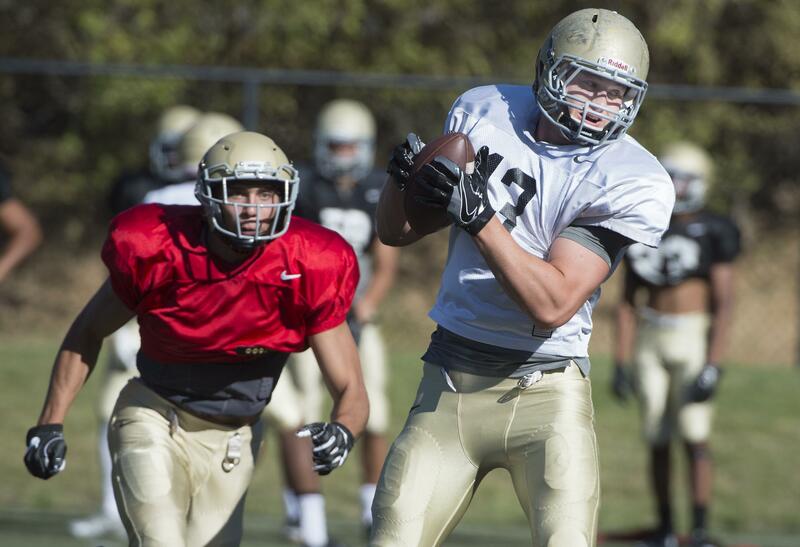 Cowan and Watson came to Idaho as wide receivers with Idaho pedigrees and made the switch to a hybrid tight end role in spring 2015. Now, they’re poised for huge senior seasons for an offense loaded with receiving options. Cowan had the fourth-most receiving yards among FBS tight ends last year (624 on 48 catches) and was named to the preseason watch list for the Mackay Award, given to the nation’s best tight end. QB Matt Linehan, his roommate for several years, calls him the hardest-working player on the team. That shows in the time he’s spent in the weight room. The 6-foot-3 Camas, Washington, product is up to 230 pounds after playing at 220 last season. (He weighed 205 to 210 in his first two years as a receiver). One reason for bulking up was to help improve his run blocking, something he noticed was improved during preseason camp. Watson, a fifth-year senior from Coeur d’Alene, has used his athleticism and basketball player’s frame (6-4, 221) to contribute since he was a redshirt freshman in 2013. Last year, he caught 42 passes for 551 yards and led UI with seven receiving TDs. One more year of he and Cowan on the field at the same time is an enticing prospect for UI players and coaches.